From scalable banks of collaborative desks to concentrated desk clusters with integrated cable management. It’s important to have the ability to tailor your own desk layout or hot desk requirements and using Spaceoasis standard components, you can. Pick a pre-configured solution or contact us for some advice on alternative layouts to suit your specific space. Pods & screens can provide privacy and partitioning. Use simply as screens with free standing furniture within, or for sectioning of resource and meeting areas within the general office. Spaceoasis have the most versatile and robust screen and furniture system on the market. Adding personalised vinyl graphics or accent colours can really generate an innovative stylish space. 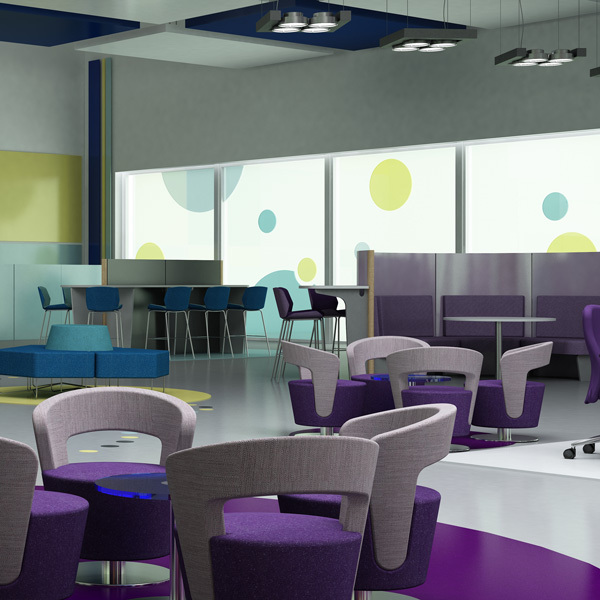 Stylish modular seating can break up any open space. From a single seat to a run of sofas, our modular seating systems can compliment any area. Using textured fabric, or on trend patterns, you can personalise your break out and waiting areas to your hearts content. The Spaceoasis team are on hand to assist and advise on the latest contract fabric selections. Modular shelving can be both practical and stylish. 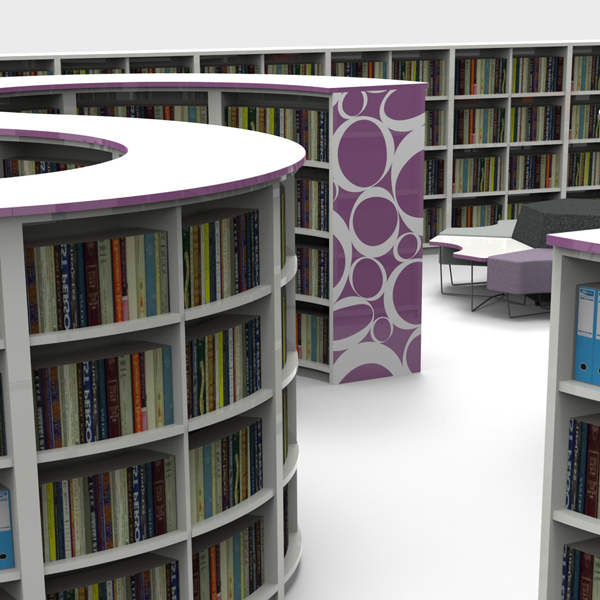 Using perimeter units or centrally located curved units, even the most conventional spaces can be transformed. Accenting edges or applying stylish vinyl will instantly lift a normally mundane but functional piece of storage furniture.